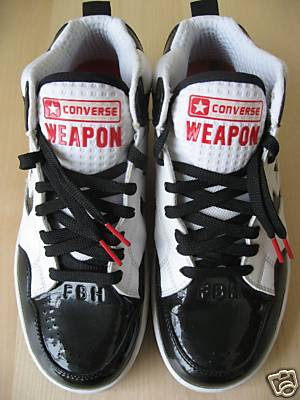 Welcome to the Converse Blog's Weapon Wednesday. Today is a special Weapon Wednesday with a pair of Kirk Hinrich PE weapons. For lack of a better explanation, these are in 3/4 in cut, something I've never seen before in the Weapons. Enjoy! 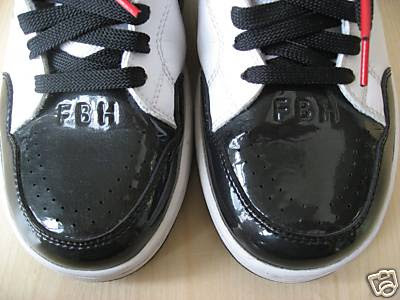 They feature the initials FBH which are his Grandfather's initials. 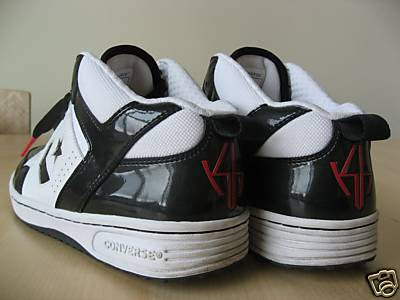 Below is Kirk's logo on the heel, you can see the K and H that make up the logo. Well that's it for today, I hope you enjoyed these unique kicks. There are only a few days left to vote in the poll and anything can happen between Rose, Beasley, and Mayo. Also, keep those Your Cons, Your Story submissions coming in, hopefully I can get some of those up very soon. probably the best blog i've ever read. 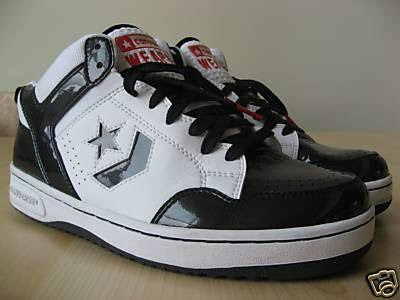 where can i purchase these kirk hinrich shoes???????!! !